I guess this personalized license plate is true. 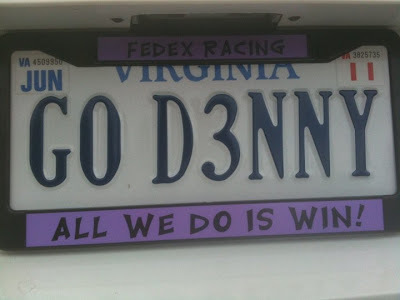 Yesterday, Denny Hamlin won his seventh NASCAR Sprint Cup series race of the season and second during the Chase. He's now just six points behind leader and four-time champion Jimmie Johnson with only four races remaining. 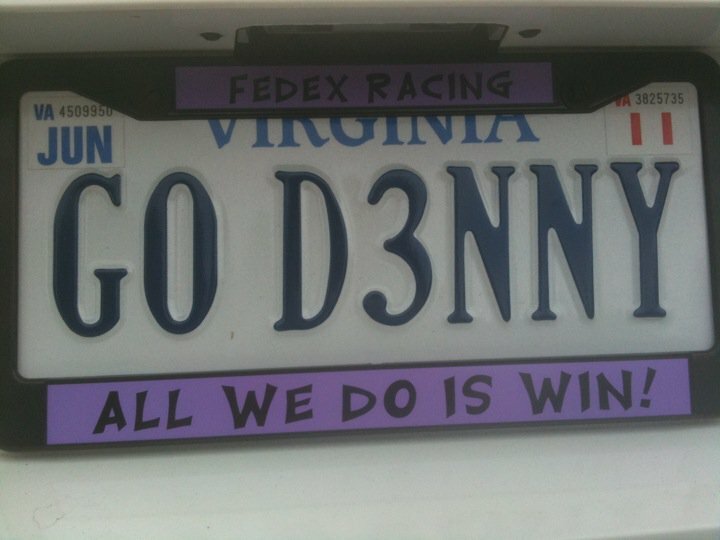 If Denny was to win the championship, you can expect a ridiculous party next month at Butter NC, the popular nightclub he co-owns.